A new line from Zondervan Gift, the Timeless Faith Classics series revisits foundational faith writings that have stood the test of time. Combining fresh, elegant designs with reflections specific to select classics, each beautiful volume will be a welcome addition to your bookshelf. Filled with scriptures and encouraging reflections, Serenity: Reflections and Scripture on the Serenity Prayer is the perfect gift to comfort those struggling through a difficult or stressful season. The book expounds upon sections of the Serenity Prayer with quotes and devotions from Christian writers such as Oswald Chambers and C. S. Lewis and scriptures from the New International Version(R). The truth of God's eternal promises shines on every page, making this book a great gift for those in need of reassurance and comfort. 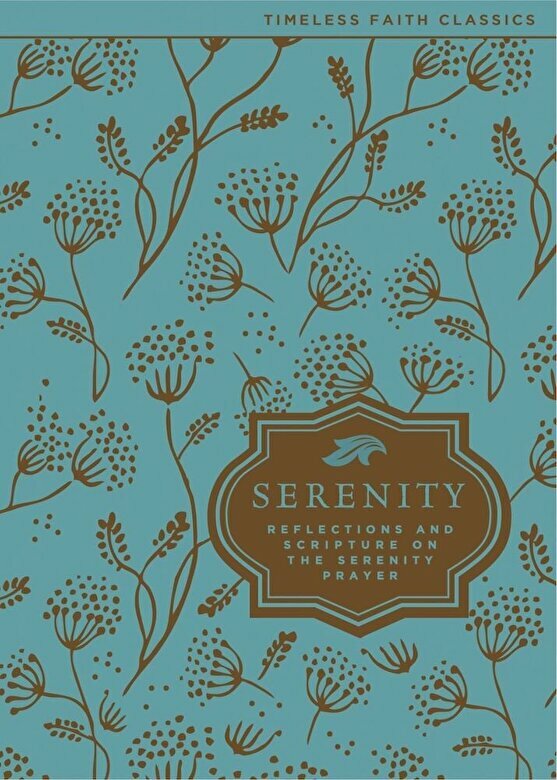 While other books about the Serenity Prayer delve into analyzing it, this book celebrates the beauty and wisdom of the Serenity Prayer by combining it with related scriptures, inspirational quotes, and devotionals, all in a stunning 4-color package filled with photographs and highly-designed interiors that will help the reader connect visually with the book's overall theme of tranquility.